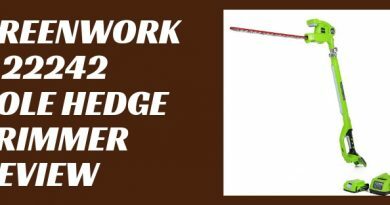 Are you looking for an economical corded 2 in 1 pole hedge trimmer? Cleaning up the shrubs and hedges in the yard can be a real pain, even on the pocket book. 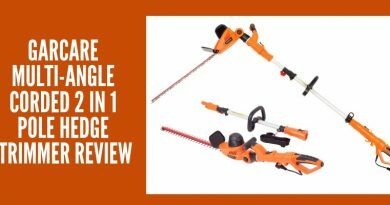 Take a look at the Earthwise CVPH41018 Corded Electric Pole Hedge Trimmer . It is both a pole hedge trimmer and a handheld hedge trimmer in one. It is a double bang for your buck! Make working in the yard a lot less troublesome with the Earthwise CVPH41018. 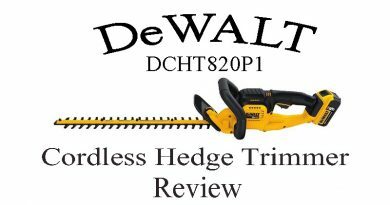 To read more about this great pole/handheld hedge trimmer read our full review. 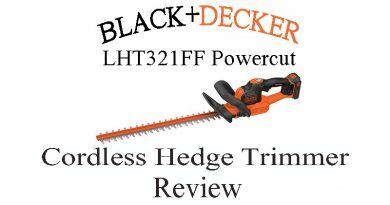 Before we get into the full review of the Earthwise CVPH41018 18-Inch 2.8-Amp Corded Electric 2-in-1 Pole/Handheld Hedge Trimmer let’s take a look at some of the key features it has. 2 in 1 model both pole trimmer and hand held hedge trimmer. Corded so no toxic emissions or tune ups needed. 18 inch blade length with a ¾ inch cutting capacity. 150 degree/ 6 position rotating head. Has a lightweight fiberglass pole. Comes with a blade cover and aluminum blade support. Our first thoughts and presentation of the Earthwise CVPH41018 18-Inch 2.8-Amp Corded Electric 2-in-1 Pole/Handheld Hedge Trimmer are favorable. This is a really nice pole hedge trimmer for the average homeowner. It is a combination of practicality and economy. I like the fact that it has a 2 year warranty on it. For the price I would of have expected less however that is not the case. It is a corded model so there are no toxic emissions to worry about. There is no need to worry any longer about gas and oil either, no messy floors due to spilling. The Earthwise CVPH41018 18-Inch 2.8-Amp Corded Electric 2-in-1 Pole/Handheld Hedge Trimmer is both a pole hedge trimmer and a hand held trimmer in one so you can tote two tools around at once using whatever one you need where you need it without having to hunt around for additional tools. You can do those tall hedges and that pesky branch in your face with just a few adjustments. With its 18 inch blade it can easily cut through branches up to ¾ inches in width. 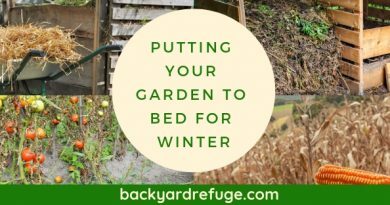 This can help with stubborn hard to get branches and shrubs. Not to mention taking down aggressive berry patches. The 2.8 amp motor can easily power through messy areas. Being corded you don’t have to worry about batteries and charge times, you can just keep on going and going until the job is done or until you need to take a break to rest or clean up debris. With its 150 degree 6 position head adjustment you can achieve those angles you want as well as making your life easier by allowing you the ability to position the head so that there is no need to bend or squat, saving your back that extra wear and tear. Being corded you also have the advantage of lessening your overall carbon imprint. Not using nonrenewable resources can be a real attraction for some home owners. Not to mention getting rid of all the hassled that come with owning a gas operated tool. No longer will you need to go to the gas station for fuel or oil, no more messy spills on the driveway, garage or lawn. No strain from having to pull start. This is a real bonus for myself, I constantly overpour. The Earthwise CVPH41018 Corded Electric 2-in-1 Pole-Handheld Hedge Trimmer comes with a blade cover to help prevent accidents or damage while not in use. Lightweight at 10 pounds it is easy enough for most consumers to use. Again being corded it deletes the need for a pull cord saving you the time and strain of pull starting. The head positions so that you can trim at ground level without bending. You can also angle the head to achieve other positions that can help prevent strain to the body. The extension pole allows the trimmer to extend to over 6 feet long. This can for some eliminate the need for a ladder. If you’re afraid of heights like me this can be an awesome advantage. 150 degree 6 position head. 2 in 1 model both pole and handheld hedge trimmer. Weight distribution could be difficult for some operators. Needs to be stored out of the elements when not in use. Our final thoughts and recommendation for the Earthwise CVPH41018 18-Inch 2.8-Amp Corded Electric 2-in-1 Pole/Handheld Hedge Trimmer is that this is a good product for the average homeowner who is looking for a sturdily built model that can handle many tasks. Being 2 in 1 this allows the homeowner to have 2 tools in one. This allows for financial economy and less tools in the toolshed. With its cutting capacity of ¾ inch it can handle most shrubs and hedges with little difficulty. It has a 2 year warranty which is always a good thing in my book. It comes with a blade cover to help prevent accidents and damage while not in use. This is really nice especially is you are prone to tripping over things like I am. If you are looking to add to your back yard tool collection this is one model that could really be an asset to the homeowner. So, when you go to buy a new pole hedge trimmer be sure to check out the Earthwise CVPH41018 Corded Electric 2-in-1 Pole-Handheld Hedge Trimmer.